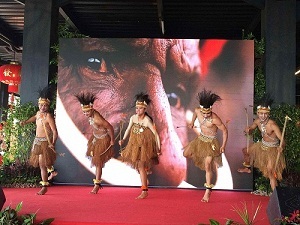 The Giant Panda Global Awards Ceremony was held in Taman Safari Indonesia (TSI) on the morning of July 28. Mr. Sun Weide, Chargé d' Affaires a.i. 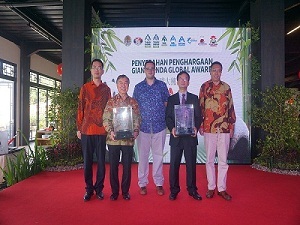 of the Embassy, Mr. Wiratno, Director General of Ministry of Environment and Forestry, Mr. Jeroen Jacobs, General Director of Giant Panda Global and Mr. Jasen Manansang, Director of TSI attended the ceremony and delivered remarks. On behalf of Ambassador Xiao Qian, Mr. Sun received the “Global Conservationist Award”. Indonesian Minister of Environment and Forestry Ms. Siti Nurbaya was conferred the “Global Conservationist Award”, Mr. Jasen was conferred Bronze Award of “Human Panda Personality Award”, Giant Panda “Cai Tao” won Silver Award of “Favorite Panda Outside of China”. In his remarks, Mr. Sun said, since Chinese giant pandas “Cai Tao” and “Hu Chun” settled in Indonesia in Sep 2017, they have enjoyed a pleasant life at their “new home”, brought great joy to more and more Indonesian visitors and become envoys of peace and friendship. 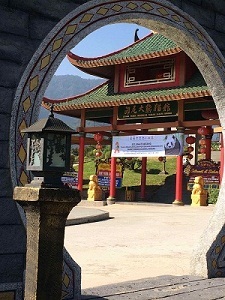 He believes “Cai Tao” and “Hu Chun” will continue to enjoy a healthy and happy life in TSI. 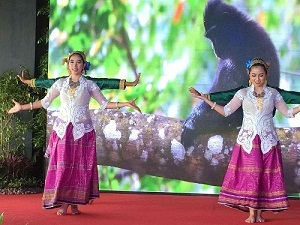 He also hopes more and more people will get involved in the conservation of endangered species such as giant pandas. 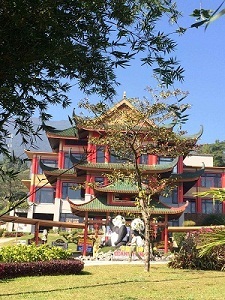 Giant Panda Global was established by Mr. Jeroen Jacobs in 2000 to promote the importance of giant panda conservation. 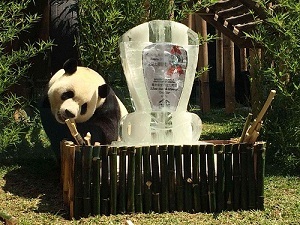 Since 2012, Giant Panda Global has asked giant panda fans worldwide to vote for Giant Panda Global Awards for 5 times.